Our #1 desk flag made with our plush Penguin Super Silk,* for the shimmer & softness you love. 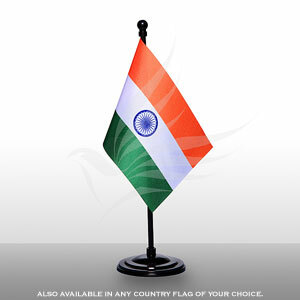 With a classy round moulded-plastic base, this flag set is sure to delight you! Flag readily inserted into it's 10" black plastic staff & round finial top (2 extra tops included).